Do you want to look and feel better, reduce stress, have more energy, get fit or effectively manage your weight? You can do all this while learning martial arts skills. In our martial arts classes you will develop the physical skills along with powerful mental and emotional benefits. Professionals from all walks of life recognise that strengthening focus and perseverance gives them a huge competitive edge. 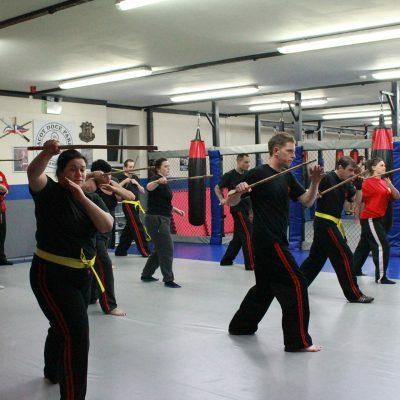 We make the martial arts enjoyable so our members love coming back for more. Here are just a few of the benefits you can get by training at our martial arts academy in Plymouth. We teach four different styles of martial arts at our Academy and all classes are taught in a fun, educational way. We do not mix adults and children in the same class, as their needs and abilities are very different. The ancient self defence art from the Phillipines. Proven to be effective for all ranges of combat. Popularised by Hollywood movies due to it’s efficiency, and ability to use everyday objects as weapons. The most complete combat sport. 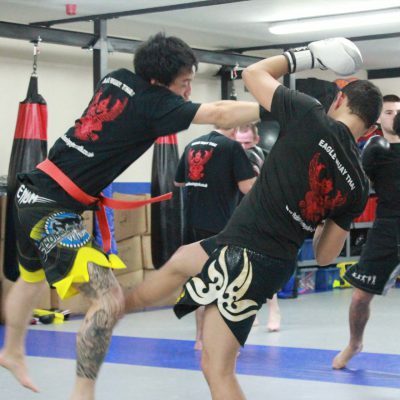 It takes top level BJJ & top level Muay Thai Kickboxing to succeed.That’s what you’ll get in our classes. As well as learning an effective self defence system, and getting in great shape! The Science of Eight Limbs combined with Kickboxing to create the best Striking Art. Effective and awesome Exercise, The Best Time You’ll Ever Have On Two Feet! "Amazing! I have only just started but everyone’s made me feel so welcome. The Instructors are fantastic and the encouragement from the assistants and other students really helps." We have hands down the best instructors in Plymouth. Professional, passionate, friendly, and still train and compete at a high level. Read more about our instructors here. 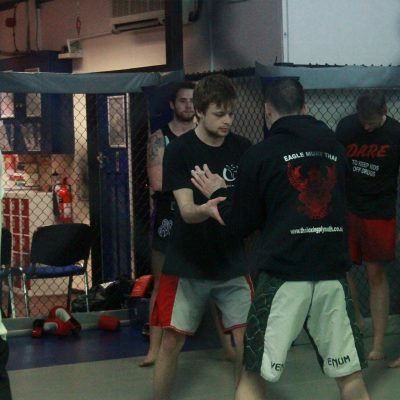 It’s one of the biggest and best martial arts facilities in Plymouth – huge mat space, punch bags, cages walls, changing rooms, coffee shop, and more. Learn more about our facilities and take a virtual tour here. Quite frankly our students are awesome. No egos, everyone wants to help you succeed, and a strong sense of community. We have the widest selection of classes, that can fit into anyone’s busy schedule. Choose from daytime, evening, weekend, beginners, and advanced. These run through every aspect of the academy and provide you with an amazing and unique experience. Read about them here.